The modern world we live in involves straining our eyes most of the time. Almost all lines of work nowadays consider spending some time in front of the computer. Moreover, leisure time is mostly spent by sitting in front of the TV or reading a book. All these, and many other common lifestyle factors all contribute to our eye straining. Therefore, we are likely to harm our eyesight or experience some difficulties in the correct functioning of these vital organs. 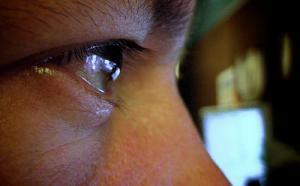 Excessive eyestrain is mostly manifested through dry eyes or twitches. However, sometimes, some far more serious causes may be behind these small eye problems. Therefore, it is important that we ensure our ocular health and react as soon as we notice some unusual symptoms. As mentioned above, staring at different screens for longer periods of time is the main cause of eyestrain. This involves computers, TVs, mobile phones, etc. In addition to this, there is reading in dimmed or insufficient lights, driving for too long or doing anything requiring extreme eye concentration for too long. Additionally, imbalanced eye muscles or other, similar causes may be the culprits as well. Excessive straining of your eyes will surely result in twitching of the eyelids, blurred vision, dry or tear-filled eyes along with many others. Itchiness, irritation, lack of focus and burning sensation, all add on to the possible indicators of this problem. If you experience these, consider doing some of the following steps. First and foremost, if there are some medical conditions behind one's eyestrain, one needs to seek medical attention and get rid of these in order for the above mentioned symptoms to cease. However, those who spend most of their working time in front of a computer screen may consider purchasing anti-glare reading glasses. These reduce the amount of light radiation from computer screens thus making it easier for one to read and work in front of these devices for longer periods of time. Also, sit at least at an arm's length from the computer monitor and make sure you increase fonts you cannot read instead of getting closer to the screen. Keep your screen in a dark place and have it clean all of the time, since being exposed to light or dust only increases its harmful glare. Additionally, if you are using both books and the computer, place the books next to the computer display. This will help your eyes keep their focus when you switch from paper to screen. Finally, make sure you blink regularly and make short breaks every now and then. This will reduce the eyestrain greatly, keeping your eyes healthy and your sight sharp.